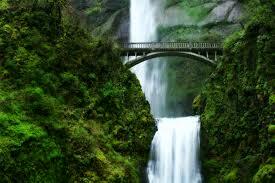 Oregon is a flourishing and considerably uncultivated state offering numerous beautiful traveler attractions. US 101 runs alongside the shore, a holiday glory par brilliance with resorts, beaches, and parks. At the northernmost tip, the shoreline meets the mouth of the Columbia River. The Columbia River Gorge National Scenic Area follows the route of the Columbia River as it cuts through the Cascade Mountain Range. Shaped by the river, the canyon is recognized for its fantastic views and many waterfalls, including Multnomah Falls - the second utmost waterfall in the nation state. The area offers a variety of hiking and biking trails, and camping amenities. And for the revisit voyage, there are additional attractions to be explored on the Washington State side of the canyon. 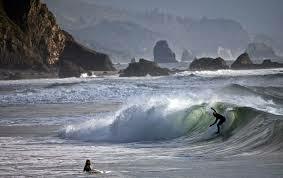 An admired traveler resort, Cannon Beach is situated in northwest Oregon. The seashore offers a broad extend of sand and fabulous views of uneven coastal rocks. The major of these is known asHay Stack Rock. Close by Seaside is a further trendy resort town, close to beaches and waves breaks. Astoria lies 20 miles north of Cannon Beach, at the entrance of the Columbia River. The town is traditionally significant as the locality of Lewis & Clark National Historic Park - a model of the famous explorers' Fort Clatsop. A vaguely more new relic is the armed post of Fort Stevens, now a state park preserving a narration straddling the Civil War during WWII.